The aim of this study is to find the optimal position of cameras and their orientation in order to achieve the highest degree of visual coverage of the area under surveillance. Optimization variables are the spatial coordinates of the positions of the cameras and the angles that determine the orientation of each camera. The positions of cameras are limited with respect to the interior of the rooms. Based on the location and characteristics of the cameras the model determines the area of ​​the field of view of each camera and the total area coverage of all the cameras. Optimization method used for this problem is the particle swarm optimization. 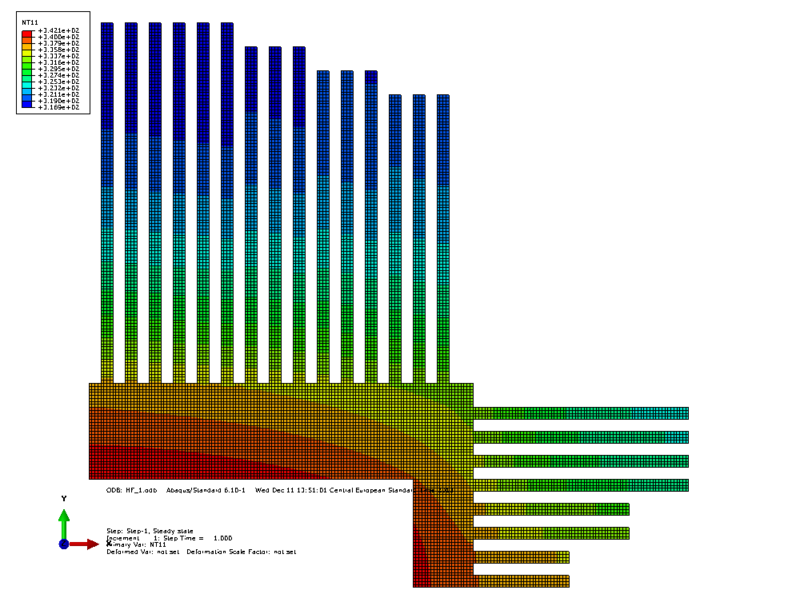 Simulated annealing method is used for optimal dimensioning of passive (ribbed) CPU cooler. The goal of the optimization is to minimize the mass of the cooler while providing sufficient cooling of the processor. Simulation of heat transfer is performed by Abaqus, while numerical mesh preparation, writing input and reading output files, launching Abaqus and optimization procedure are performed in Python. Based on the starting positions, products eventually occupy a position so as to form a compact, non-overlapping layout. The final layout is achieved by dynamic simulation of interacting bodies. The goal is to minimize the surface material needed to arrange the products by varying products initial position. 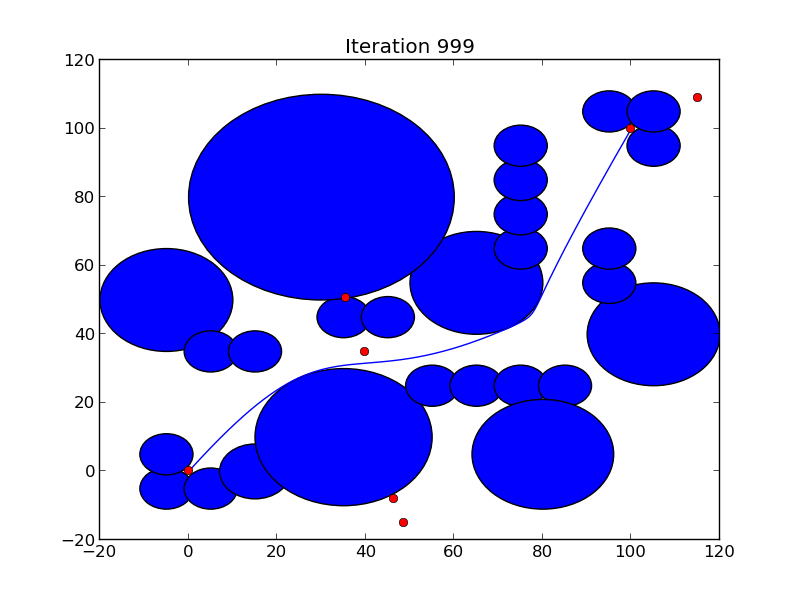 Optimization is conducted using particle swarm optimization. The goal was to determine the optimal design of honeycomb-structured non-pneumatic tires in different conditions (loads). 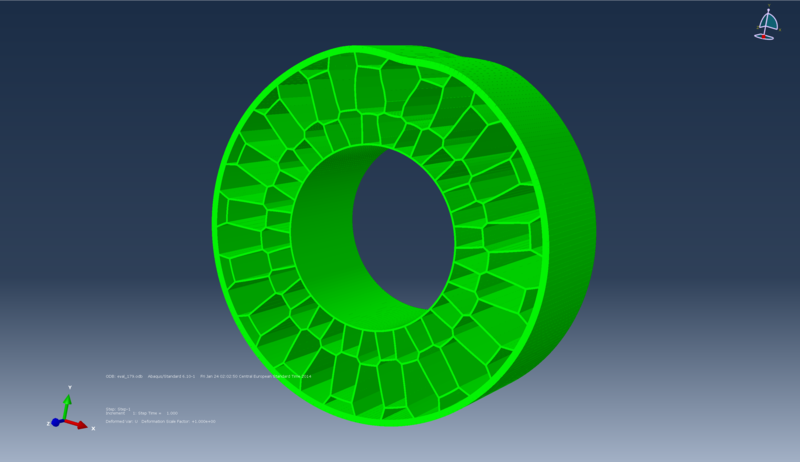 The entire optimization procedure is implemented in Python and consists of an automatic calculation of the tire geometry and meshing (based on the given dimensions and properties of rubber), writing Abaqus input file, executing Abaqus (solving structural analysis) and reading the analysis output file. Genetic algorithm is used as the optimization method for obtaining the design while minimizing the mass of the tire, in compliance with the conditions of material strength and stiffness. The route is determined by the coordinates of the control points of Bézier curve interpolation between a given start and end points. 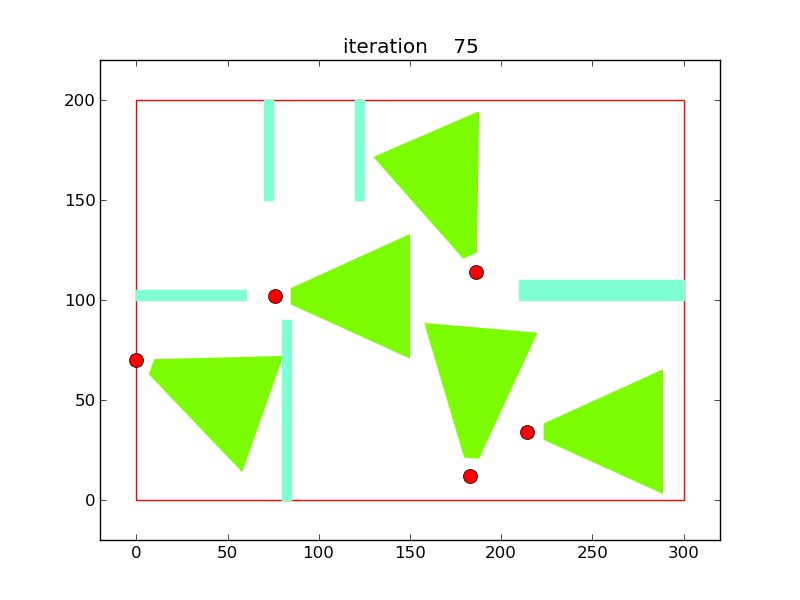 The goal of the optimization was to minimize the length of the route with the conditions of bypassing the obstacles. Particle swarm optimization method is used to determine the optimal coordinates of the Bezier interpolation control points. 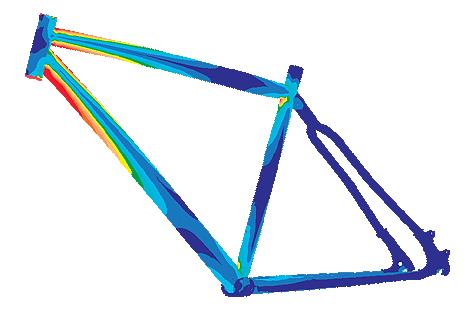 The theme of this work is the optimization of the bicycle frame. It is necessary to determine the dimensions of the frame with the aim of minimizing the weight of the frame while staying in compliance with the conditions of strength. 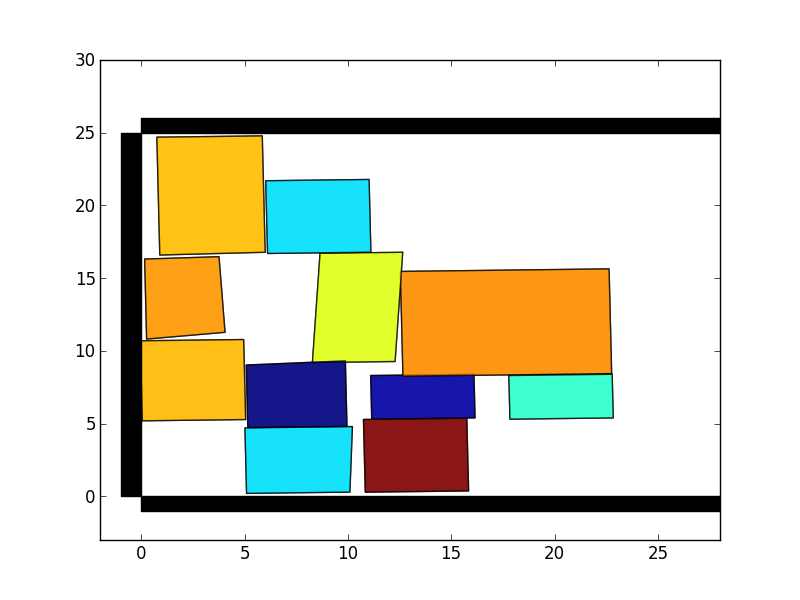 For the optimization method, simulated annealing was chosen. The task was to minimize the weight of the clamping mechanism and to thereby satisfy the requirements of the spring strength, but also to achieve sufficient clamping force and minimum force needed to move the of clamping lever. Optimization is performed by use of the simulated annealing method. The subject of this work is the optimization of pipe diameters for a predefined network of available routes of pipelines. It is necessary to determine the diameters of the pipeline segment and required pressure at the pump in order to minimize the cost of electricity consumption (based on the required pump) in a given period and investment and construction costs (depending on the length and diameter of the pipe segments). Segments with very small diameters are removed from the network of pipelines. It is necessary to meet the needs (flow and pressure) of consumers. Hydraulic simulation is carried out with a tool EPANET and optimization is performed using particle swarm optimization.